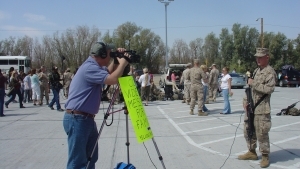 On Saturday, May 12 at 1:30pm, Marine Corps Air Ground Combat Center Twentynine Palms Sunset Cinemas will host the worldwide theatrical premiere of the military family documentary While Time Stands Still directed by Iraq War Veteran Spouse Elena Miliaresis. This gripping movie tells the story of three military wives during the Iraq War, calling attention to the courage it takes to love a Service Member. 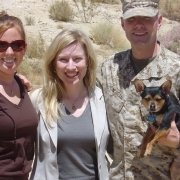 Miliaresis travels to Twentynine Palms, a Marine Corps base in the Mojave Desert, to meet two wives on the eve of their husbands’ combat deployment to Iraq with 3rd Battalion 7th Marines. 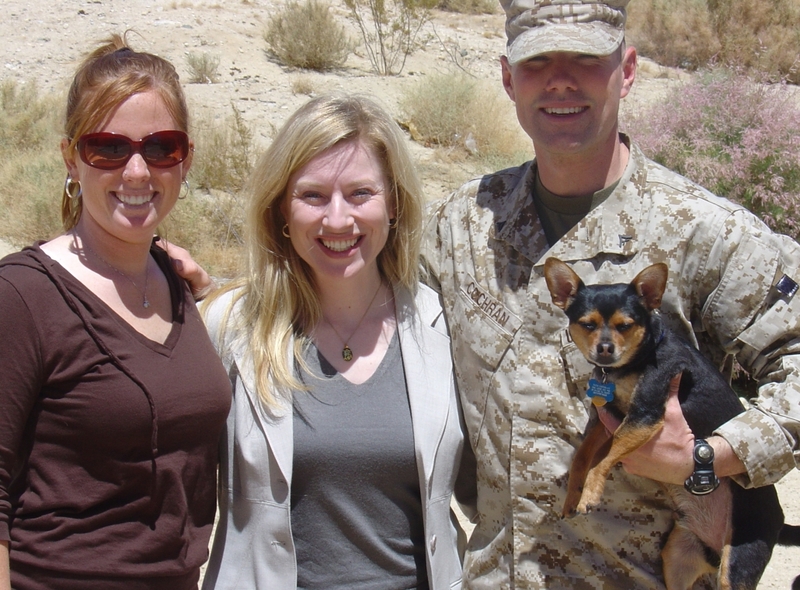 Miliaresis opens up about her own experience and follows Brandi Albritton (H&S Company) and Denneny Cochran (India Company), before, during, and after their husbands’ deployments. Through their eyes, the film shows what it takes to survive on the home front during a war. Each day is a psychological game of Russian roulette. Every phone call, every knock on the door can bring of doom. Despite the challenges, these young women find the resilience to grow stronger than they ever thought possible. This moving film reveals the untold perspective of what it is like to be a family during wartime, and what it takes to put the pieces back together afterwards.